Welcome Guest! You must register first before you can post - registration is fast & free!, to start viewing posts, click Forum. If you are new to these forums, check out our FAQ. 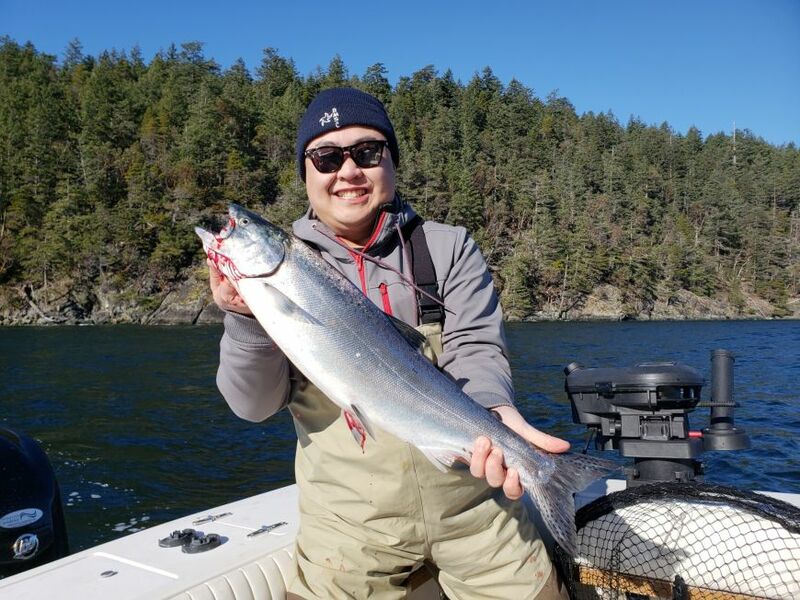 We have been out quite a bit in recent weeks and have enjoyed some good fishing in Vancouver area waters. 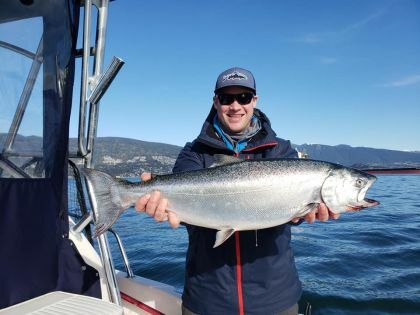 Winter fishing for chinook salmon has been fairly consistent in Vancouver Harbour and Howe Sound. We have been dropping traps for Spot prawns and Dungeness Crabs and spot prawns and have had very good results. We have not ventured too far this winter as most days we have enjoyed consistent fishing in Vancouver Harbour and Howe Sound. In Vancouver Harbour we have found some nice fish deep inside the Freighter Anchorages in 70 to 100 feet and some fish off the Mouth of the Capilano on the flood tide. In Howe Sound, the West Side of Bowen and Gambier Island is where we have found most of our success. 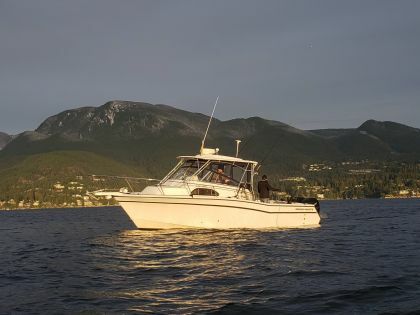 We have been fishing deeper in Howe Sound, primarily in 140 to 200 feet of water. Gear wise we have been running a mixture of spoons and hootchies. Our favourite spoons have been Skinny Gs in the Bon Chovy, Outfitter and Irish Cream patterns and Gibbs G Force 3.0 and 3.5 in the Trailhead and Bon Chovy. 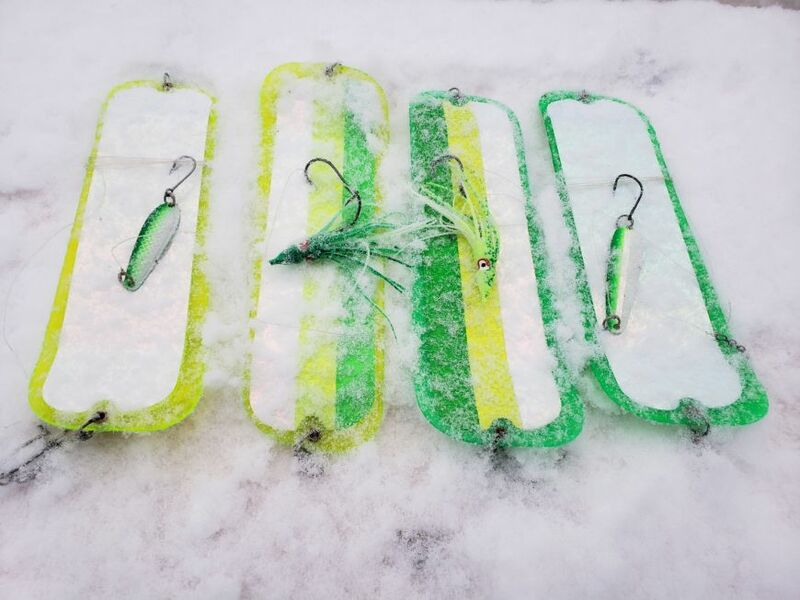 We have had very good success on Yamashita Spackleback Hootchies in Green and Chartreuse. Our favourite flashers have been the Green and Chartreuse Blade Lemon Lime Series and the Chartreuse Glow Phantom Flasher by Oki. We have not messed around with any bait yet as the artificials are doing just fine. We will start to run bait once things start to warm up in early April and the plankton bloom starts. 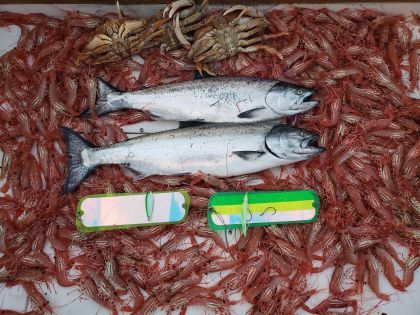 Prawning has been excellent in Howe Sound and crabbing has picked up in Vancouver. We are dropping crab traps on all of our trips and we are dropping prawn traps on our full day trips when weather permits. Our Winter Chinook Charter Special is running until the end of March. If you are looking to get out on the water at a great rate, our winter charters provide one of the best fishing experiences of the year. Hard to beat the scenery and the seafood! Charter Details. Great Late Season SPRING SALMON Action in Winter Harbour :: AND THE TUNA ARE HERE ! Page generated in 1.851 seconds with 35 queries.